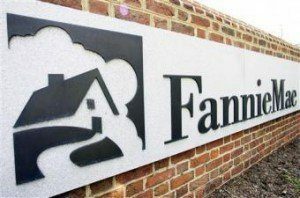 Fannie Mae whittled down the contenders in the first phase of its Sustainable Communities Innovation Challenge from hundreds to three, it announced. The chosen proposals hail from Florida, Ohio, and Colorado, with ideas aimed at advancing affordable housing development and onsite healthcare workforce training, gentrifying neighborhoods, and remaking vacant commercial properties into entrepreneurial co-housing in low-income communities, Fannie Mae reports. For the uninitiated, the Innovation Challenge launched in late 2017 to cultivate collaborative, cross-sector solutions targeted at helping address the country’s affordable housing issues, Fannie Mae explains. “Phase one focused on supporting the research, design, and development of new ideas and innovative solutions at the intersection of affordable housing and employment opportunities,” it said. Seeking a novel way to shore up local economies and stabilize housing costs, the Florida Housing Coalition proposes reusing empty commercial spaces for entrepreneurial co-housing in low-income enclaves. A nonprofit, statewide membership organization headquartered in Tallahassee, the coalition works to unite housing proponents and resources so that all Florida residents have a “quality affordable home and suitable living environment,” the report said. Columbus, Ohio-based Nationwide Children’s Hospital proposes expanding a newly developed affordable workforce housing development complete with an integrated onsite healthcare workforce training program, Fannie Mae says. The idea also includes offering cost-conscious rental housing within one mile of the hospital. Nationwide is a top-10 pediatric system that fronts Healthy Neighborhood Healthy Families initiatives in housing, workforce education, safety, and wellness, Fannie notes. Rounding out the proposal trio, West Denver Renaissance Collaborative—a Denver-based developer sponsored by the Denver Housing Authority and serving low-income homeowners—aims to “fight the displacement of current residents by introducing a new accessory dwelling unit development program that supports low-income residents in gentrifying neighborhoods,” Fannie reported. The next phase of the competition will launch this fall.